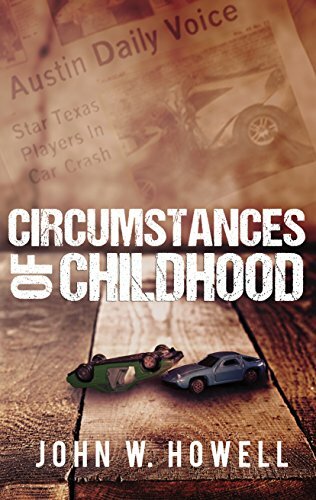 I’ve read this author’s thoroughly engaging John Cannon Thriller Trilogy, but Circumstances of Childhood is a new path for him, and one I enjoyed cover to cover. This novel will appeal to a wide range of readers – sports, business, mystery, family drama, and even supernatural fans. Overflowing with themes of family, love, forgiveness, and justice – with some twists along the way, the story makes you think about what’s really important in life and ponder what happens beyond. Highly recommend. I received a digital ARC from the author. It does sound like a departure for John, but it seems like an exciting one. Best wishes to him with the release! His next book sounds like it’s more along these lines also, Staci – looking forward to it. Nice to see John here, Teri. Fabulous work. Hugs to you both. Thanks, Teagan – this was a fantastic read. Hugs! Ooooh – you’ll enjoy it, Jacquie! Now that’s a great recommendation! As I think about it, maybe it is a good idea. I am keen to read this book, Teri. Your review has increased my interest. If you’re still a little under the weather, that’s prime reading time, in my opinion. I’ve read this one and John tells a good tale. Congrats to him on another great review. He certainly does, Mae. Liked this different path he chose. A fabulous review to share, Teri. Thank you! And cheers to John. Cheers back, Natalie. Thank you. Thank you so much for the terrific review, Teri. I’m so glad you liked Circumstances of Childhood. Also, thank you for taking time out from your busy schedule to read my story and to write the review. Sorry so late getting back to you, John – treated myself to a movie today and saw Thor (totally fantastic – the best one yet). You’re very welcome – and thanks for the ARC! It was a wonderful read. 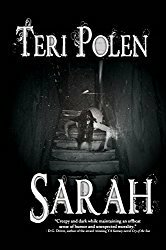 Teri Polen has reviewed Circumstances of Childhood and I want to thank her for this lovely review. 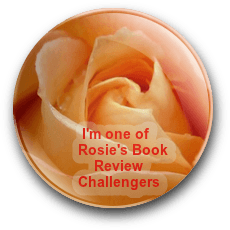 You should visit Teri since she is a talented YA author and super reviewer. Late last night I finished reading it. Though different from his trilogy, it delivers entertainment and contemplation for living. I would recommend it. Good review! Very different from the trilogy, but thoroughly enjoyable. Thanks! A great review of John W. Howell’s book CIRCUMSTANCES OF CHILDHOOD. Check out this great review of the book, Circumstances of Childhood, by John Howell, as featured on the Books and Such blog. Thanks, Vashti! This is a departure from his thriller series, and just as enjoyable and exciting.